1 1/2" WIDE. New Double Rope design, large rope down center of belt with small rope edging. 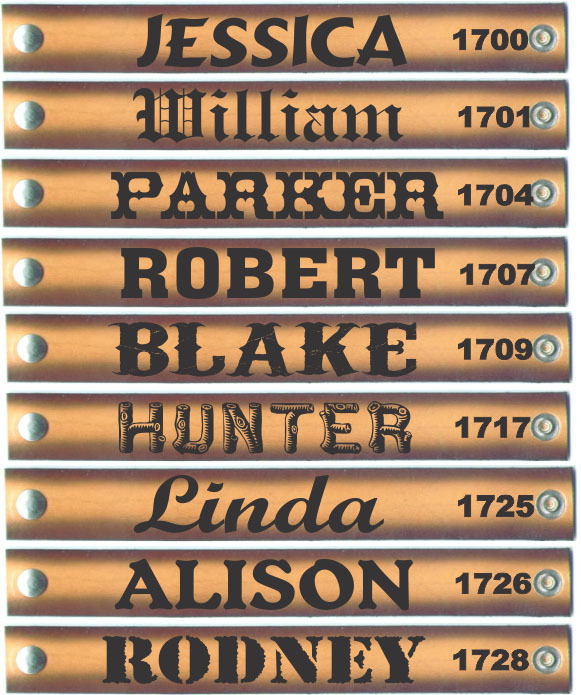 When designing name belts, we leave a blank space in the center back of belt to personalize with your name, nickname, company name or wording of your choice. 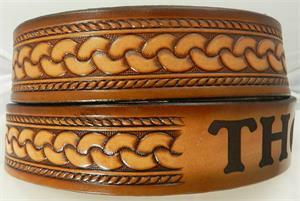 Belts are airbrushed a beautiful two tone brown. 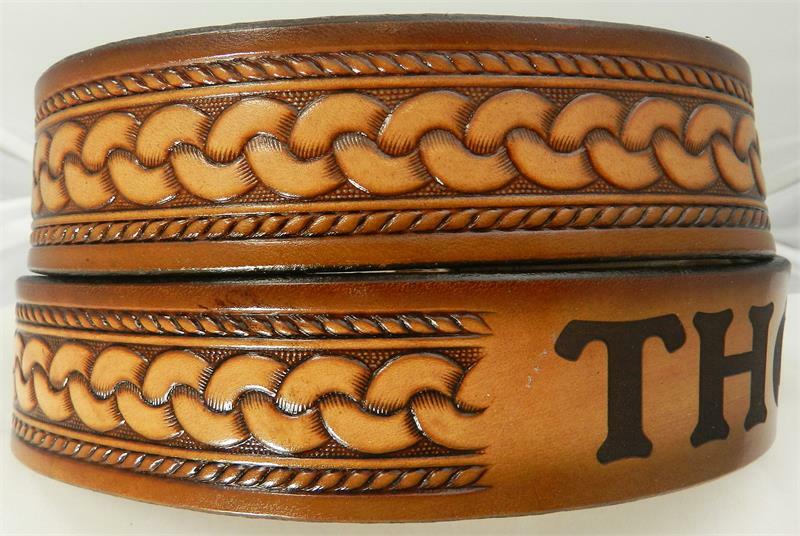 Like all of our belts, they are made of quality, top grain 9/10 ounce heavy tooling leather and proudly hand finished with our exclusive sixteen step finishing process. 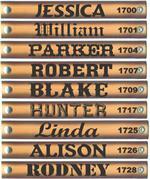 Gavere Leather belts are made in USA.